Marlene, originally from Portugal, sent us an unsolicited application in 2007, when DDS+ was being founded. 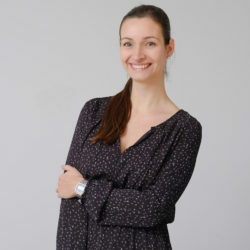 Her curiosity and the desire for a new human experience led her to leave her homeland, initially for a short stay abroad ... For 10 years now, Marlene has been involved in the organisation of the firm in order to make it ever more productive and consistent as it grew from 13 to 70 people. Marlene particularly likes implementation and project management; she started with the Papeteries de Genval, phase 1 and completed all the stages of phase 2. That experience made her very versatile and today, what she loves is working in parallel on several projects in different phases, from design to implementation.